Writing is a love in my life. While we don’t always get along, we’re still there for one another. Adorable. When I’m not writing, you’ll find me working or listening to music ranging from progressive rock to metal. Sometimes I’m found to be watching the occasional science-fiction or horror B-movie. But chances are I’m enjoying endless amounts of tea. Glorious tea. This blog was started because of my enjoyment of comic books and comic book collecting. I hope you can find some useful and fun information here so we can learn and enjoy the hobby together. 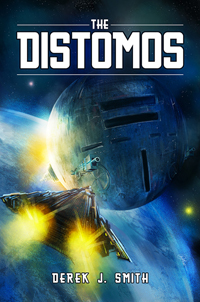 And well you’re at it, check out my book, The Distomos. I saw you followed my blog, I clicked through, saw that your blog looked good and now I am here. Enjoy the follow! Thank you kindly! We’re all in this together. Thank you for finding and following. Please visit me often – I like the company. I’m looking forward to reading more of your work.